By the courtesy of its authors, I have a chance to evaluate PVS-Studio - a static code analyzer for C, C++ and C++0x. 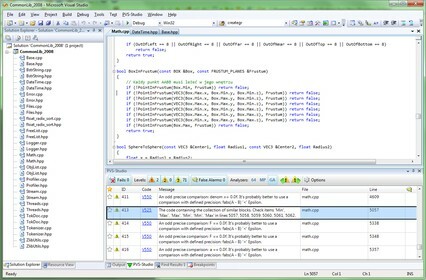 This commercial application is installed as a plugin in Visual Studio 2005/2008/2010. 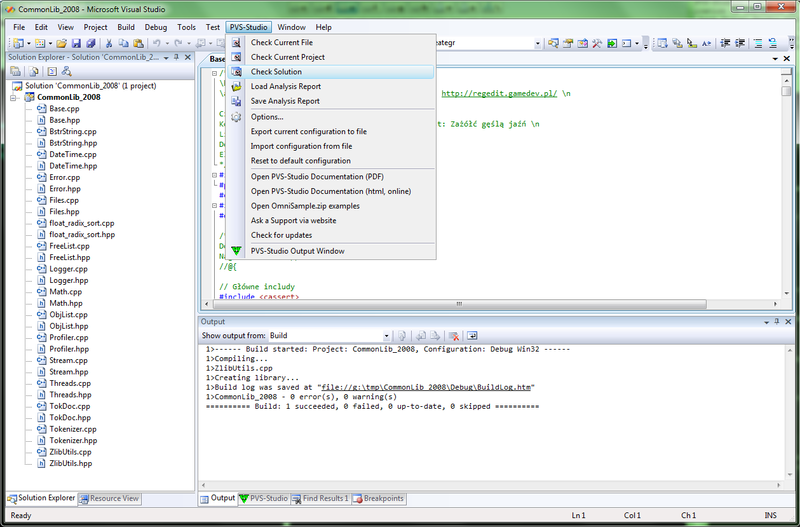 Fortunately I have Visual Studio 2008 Professional at home so I could try it with the code of my personal projects. 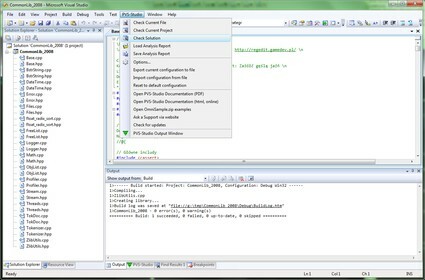 PVS-Studio differs from other tools of this kind, like free Cppcheck, by finding three types of errors or warnings: general, related to OpenMP and 64-bit portability issues. 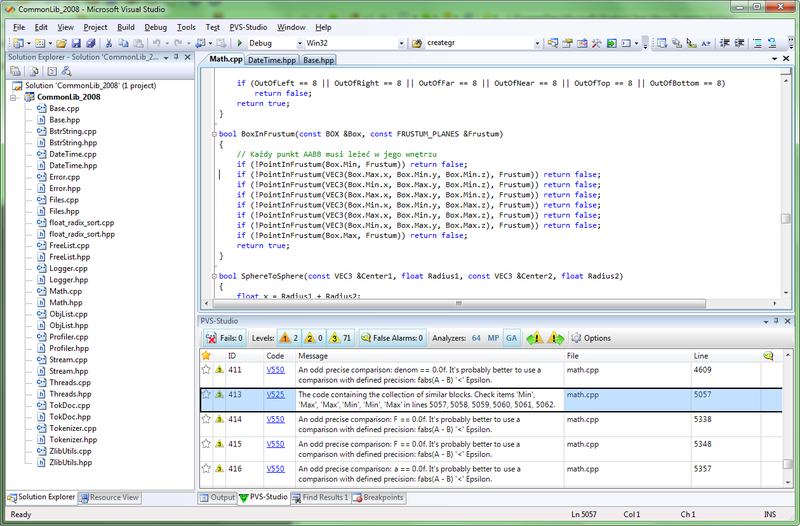 After opening my solution in Visual Studio, I choose a command from the special menu to analyze all the code. A progressbar appears while PVS-Studio does the computations, utilizing almost 100% of all 4 CPU cores. Finally, a dockable panel appears with a list of found issues. I didn't check how the OpenMP validation works because I don't currently use this extension. As for 64-bit compatibility issues, I have lots of them - just because my code is not prepared to be compiled as 64-bit. PVS-Studio seem to do a good job pointing to places where fixed-length 32-bit integers are mixed with pointers, array indexing etc. 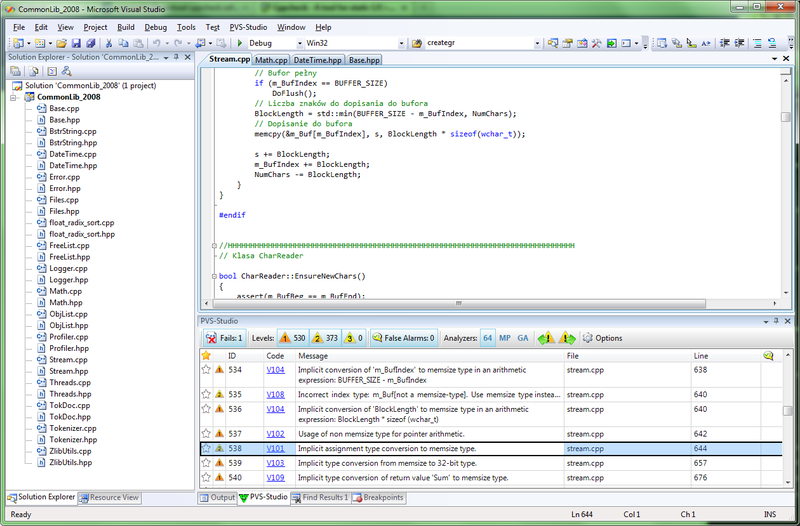 Overall, PVS-Studio looks like a good tool for C++ programmers who care about the quality of their code. Finding issues related to OpenMP and 64-bit compatibility can be something of a great value, if only you need such features. Too bad that PVS-Studio, opposite to Cppcheck, is a Visual Studio plugin, not a standalone application, so it obviously requires you to have a commercial MSVS version and do not work with Express edition. But this is understandable - if you need OpenMP or 64-bit, you probably already use Visual Studio Professional or higher. PVS-Studio analyzes C, C++ and C++0x. It doesn't work with C++/CLI language, but that's not a big flaw too. I use C++/CLI at work, but I can see it's quite unpopular, niche language. 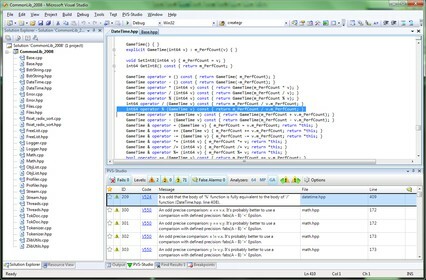 Its compilation or analysis would also be very difficult because it mixes all features from both native C++ and .NET. 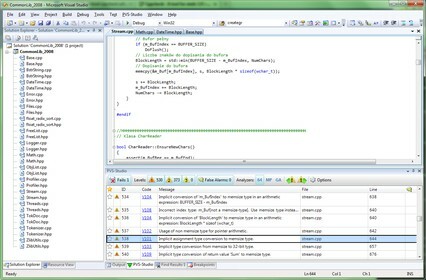 Even Microsoft didn't find resources to implement IntelliSense for C++/CLI in Visual Studio 2010.